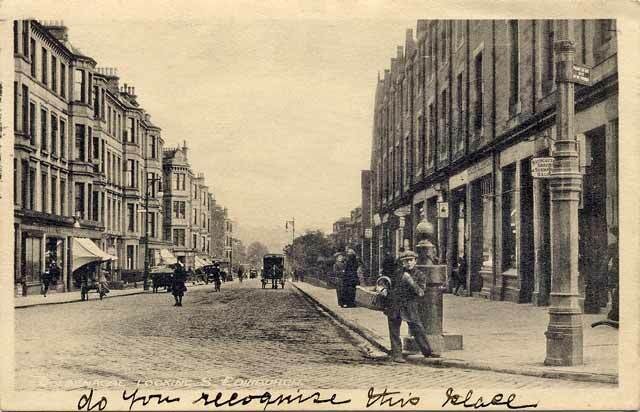 This postcard of Goldenacre, about 2 miles to the north of the centre of Edinburgh, was published by W Smith, Goldenacre. This view looks to the south down Inverleith Row from Goldenacre, towards the centre of Edinburgh. This card was posted on December 31, 1917.